Eating breakfast began in the Neolithic (late Stone Age) era, when large stones were used to grind grains to make a sort of porridge. Porridge was also a staple of Roman Solders’ diets – they called it pulmentus. During the middle ages, barley and hops were used to make beer which was served up in the morning to hungry peasants alongside oatcakes or porridge. Breakfast as we know it began in the early 19th century, when some middle-class men started to work regular hours in offices – prior to that people would often work for a few hours, then eat a meal at about 10am. Wives or kitchen staff would often serve these 19th century commuters a two-course meal that would often begin with a bowl of porridge. This would be followed by a full English breakfast: toast and eggs with bacon or fish. This style of meal wasn’t referred to as the ‘full English’ until the First World War when lighter breakfasts grew in popularity. Eating breakfast had become a more elaborate act by the 19th century, at least in well-off households. In the 1861 Book of Household Management, Isabella Beeton suggested a daily breakfast buffet that included a cold joint of meat, game pies, broiled mackerel, sausages, bacon and eggs, muffins, toast, marmalade, butter, jam, coffee and tea. Towards the end of the 1800s, there was a backlash against these kinds of lavish diets. Groups like the 7th Day Adventists protested that meat-based breakfasts were leading to ill health! Over the next few decades, pioneers like John Kellogg, W.K. Kellogg, Henry Perky and C.W. Post developed ready to eat breakfast cereals that would go on to become extremely popular and varied. At the turn of the 20th century, other cereals, such as muesli were being invented in Europe. Breakfast cereals found success when rationing made bacon and eggs scarce during the war. Also, as women entered the workforce, they no longer had the time to cook a full meal in the morning and cereals allowed children to prepare their own breakfast. The range of breakfast foods on offer became more and more varied. Now, however, despite the choice available, fewer and fewer people take the time to have breakfast. Around 7000 B.C. - The first cereals (wheat and barley) are cultivated in the Middle East. Around 100 A.D. - Roman soldiers add porridge to their diets. 1463 - First use of the word ‘breakfast’ in English. 1500s - First shipments of coffee to Venice. 1892 - Henry Perky invents Shredded Wheat. Add cracked egg to a bowl, add water, salt and pepper. Beat eggs until smooth. In a large skillet, melt butter over low heat. Pour eggs into preheated skillet. Add cheese. Gentle stir. Remove from heat when there is no more liquid on bottom of skillet. Enjoy! Mmmm...this is the way I make my scrambled eggs, too...cheese is a must! Love me some cheesy eggs! I think I would love to try a game pie! My boys like cheese on their fried eggs. The littles likes it melted over a hardboiled egg! Hi Bromography, I also like breakfast food for dinner. Thanks for stopping by. Thank you for shairng such wonderful story. Your srambled egg sounds delicious. Hope you're having a great day ahead. Breakfast is a must!! Can't beat eggs. Cheesy eggs. Oh, history! You know I love history so I like this. Usually Greeks and Romans just had some fruit, maybe some bread, to break their days. Dinners appear to have been more important meal times. Hi ChocolatePriestess, I love food history too. 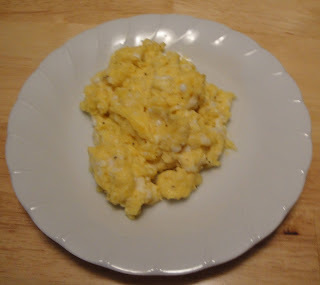 Hi Yummylittlecooks, scrambled eggs an easy and affordable means of providing protein for a crowd. Great way to get the day started. I think the children will love this. I love cheese so much! 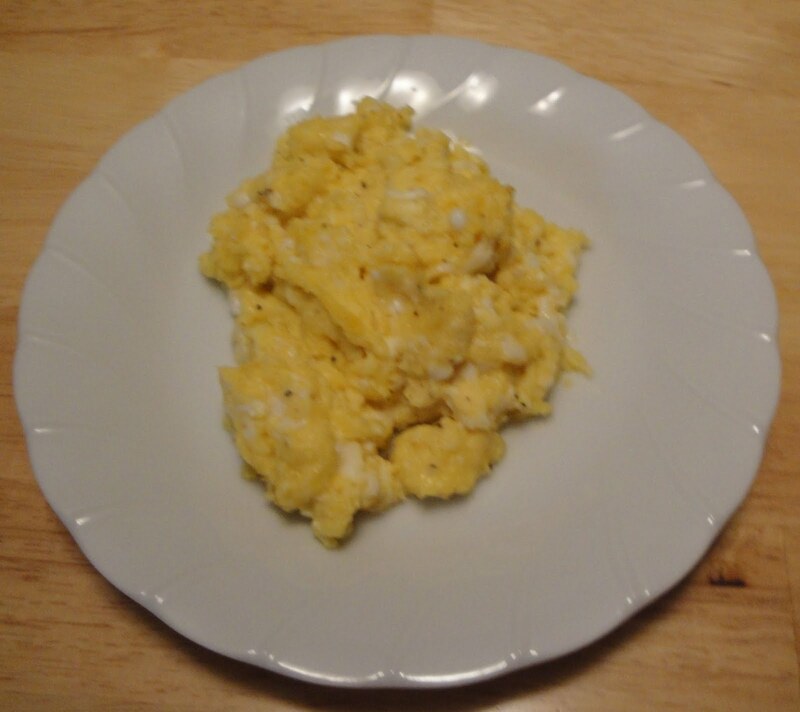 These scrambled eggs look so yummy!! !